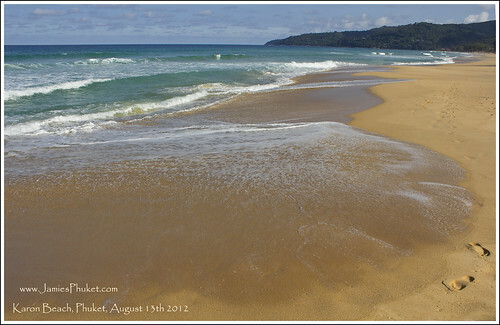 (above) This was at Karon Beach in the morning, Monday 13th August. Despite the light winds and sunshine, you still have to be careful swimming at the beach. I've not seen any reports of drownings recently, but I could see that, where I was standing to take the photo, the water quickly got deep, and with the water draining rapidly back into the sea, you have to be careful of rip currents at this time of year. If you see bigger waves than those in the picture above, do be careful. So really, for the last week - no weather to report. Only sunshine! This is supposed to be low season, rainy season, and I suppose if you were unlucky and had your holiday during one of the wet spells, you have a very different idea of Phuket weather than anyone who's been here in the last month. I like to tell people that the low season is not too bad really, but this is nuts! We do actually need some rain. 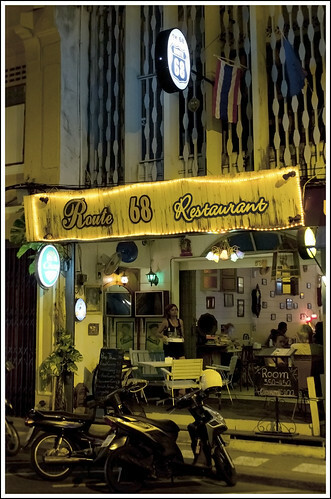 A holiday in Phuket during low season (May to October) can be a bit of a gamble, and the hotel prices certainly make coming to Phuket a good deal (for hotels in Phuket, have a look at Agoda or look at my recommended Phuket hotels). You might get lucky, you might not. I don't complain when the weather is like this, but as a resident, I'm quite happy with some rain too, so we don't have to worry about the possibility of water shortages later in the year. 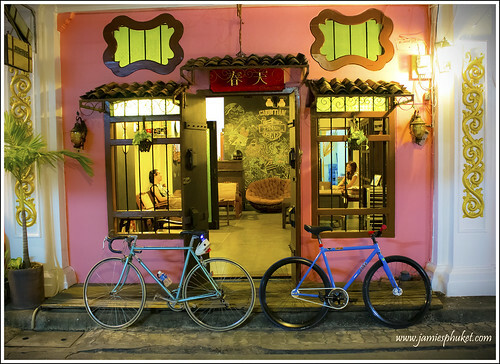 Last weekend we had a couple of evenings in Phuket Town, my favourite part of Phuket (yes, I know the beaches are nice). We walked a bit in the old town. The picture below was taken on Soi Romanee, a narrow street which (according to local history) used to be full of "houses of ill repute". Now a rather pretty street with several cafes, a couple of small guesthouses and plenty of well looked after old buildings. The weather has continued "hot and sunny" into the week. The trouble with this weather is .. I wish I was on holiday in Phuket and not working :) Anyone who wants to dive, come to see me at Sunrise Divers. Forecast : More hot and sunny weather, but a big thunderstorm would be quite welcome!